Xero bookkeeping and accounting software has been taking the small (and not-so-small) business world by storm for the last few years. Have a look at the video below to get an idea what the fuss is all about. Xero puts themselves forward as “an easier way to run your whole business” and at The Smart Accountants, we agree with them wholeheartedly. Hailed as one of the most beautiful payroll and accounting packages on the market today, not only is Xero bookkeeping software extremely efficient and powerful, it’s a pleasure to work with too. A way of accounting that lets you confidently ditch your old-fashioned spreadsheets and piles of paper, using Xero means you can do your accounts on the move, 24/7. A system that works across your Mac, PC, tablet or phone, when you use Xero accounting, you will always be up to date with your accounts and fully in control of how your business is performing. A cloud-based accounting solution, as long as you have internet access, you can update your accounts and monitor your business performance. Xero truly does make accounting easy. The creation and sending of invoices, for example, is child’s play, which means you can stay on top of your cash flow and get paid faster. When you choose Xero accounting, even your dreaded bank reconciliation tasks are made simple thanks to how it imports your statements and allows you to use its single button reconciliation facility. With unlimited user numbers, you can share information with your team, your accountant and your bookkeeper so everyone stays in the loop and completely up to date in real time. All in all, Xero’s payroll and accounting system means that you have the power of an accountant by your side at all times in return for an incredibly low, monthly investment. 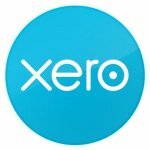 Where can I buy Xero bookkeeping software? You can buy Xero software online directly from Xero or you can buy it as part of a package from Xero accountants. Before you run off and sign up online for Xero, it’s worth pointing out that when you buy it from your accountant, you normally get a whole lot of added value that you don’t get if you buy it as a stand-alone product. Although occasionally the things that accountants bring to the table aren’t what everyone wants, unless you want a software package and a software package alone, it’s arguably best to shop around accountants and see what you could get alongside your Xero package. At the end of the day, Xero is made even more powerful with the right people to guide you. At The Smart Accountants, for example, we have 3 different packages to offer, each of which includes Xero accounting in the price. These packages are designed to appeal to businesses at every different stage of their development and enable your accounting package to grow as your business grows. Our clients tell us that this provides them with real peace of mind. Our Essential Package, for example, is ideal for sole traders, start-ups and small businesses who are starting out on their cloud accounting journey. Providing everything from the tools to do the job to unlimited support, you know that for a low, fixed monthly fee all your accounting boxes have been ticked. For businesses that need a bit more input and VAT support, at The Smart Accountants, we offer a Growth Package, again, for a monthly fee. Our Ultimate Package is perfect for any business that needs more regular support and access to constantly up to date management information. So if you’re in the market to buy Xero accounting software, before going for the white box option straight from the shelf, you should ask yourself what else you would benefit from having. Why? Because buying a package that comes with accounting services included in the price might save you a whole lot of stress and money in the long run. Xero appeared on Forbes Lists as #1 in the category Innovative Growth Companies (2015). In the software and services industry, the company is based in Wellington, New Zealand and has Rodney (Rod) Drury at the helm as its CEO. Rod Drury came up with the idea of cloud accounting in 2006 and is today still the company’s biggest individual shareholder with a reported 17% holding. The Xero story is quite inspirational and one that any entrepreneur, founder or startup owner will be able to relate to. Based in New Zealand, Drury had a global vision to make SME accounting easier for everyone and certainly made it happen. His estimated cost for setting up the company was $15M NZ and he funded this in part with government grants and locally sourced VC funding. However, due to the size of NZ and his limited reach, his VC plans were hampered and he ended up only raising $3M NZ. Not keen to go to the US in the fear that funders could potentially squeeze him out, he took the unusual decision to go public. This decision was unusual because flotations with only a handful of customers and no track record rarely succeed in attracting investors. However, Drury succeeded and raised the $15M NZ he needed to make his dreams come true. Arguably the public putting their money where their mouth was, was the biggest testament to the extent of the problem that Xero was solving at the time, and to this day continues to solve. As a standalone product, you can (at the time of writing) buy a Xero Starter pack directly from Xero for as little as £10.00 per month. This entry level of product, whether as a standalone solution or as part of a more needs-driven option, is perfectly suited to very small businesses and startups. Geared up for a small number of transactions and payrolls with up to 5 employees it is the ideal option for the likes of consultants or contractors who are starting their journey in business or for farmers, small construction companies, retailers or manufacturers. For businesses that have a larger number of transactions or have foreign currency dealings, the Standard or Premium services would be more suitable. However, as Xero accountants, we believe that there’s a whole lot more to smart accounting than just the right package. Just like a car without a driver’s license, some people are not much further forward by just having the right accounting package on their PC. What they need is support. That’s where The Smart Accountants Xero packages come into play. With three packages on offer suited to everything from small to medium sized businesses at every stage of their development. When you choose one of our solutions, you know you’re working with one of the world’s most powerful accounting tools as well as with a team that understands your business. With unlimited support included in all our plans, it makes sense for most businesses to go this route. Our prices start at only £149 per month (+VAT) and go up to £399 per month (+VAT) depending on the complexity of your accounting requirements. There are plenty of packages on offer on the market and the important thing is that you look beyond the base price and make sure that you get the package that suits your needs. In some cases, the basic Xero Starter pack will be all you need, but rather than throw good money after bad, it’s worth investing the time to really look at what you want from your accounting system before you make your final decision. And what’s more, you should shop around to find the right solution, the best team and the price that works for you and your business. How does Xero bookkeeping work? Xero is a cloud-based accounting system that works on your Mac, PC, tablet or phone. Hailed as one of the world’s most beautiful accounting solutions on the market today, it has an extremely pleasant and easy to use interface that allows you to stay in touch with your business performance no matter where you are, no matter what time of day it is. Data is stored on secure, remote servers, which means that there is no fear of losing your data if you happen to lose your laptop. When you choose Xero, you can rest assured that your data is in safe hands and is accessible. When you work with Xero accounting, you have a login which gives you access to your accounts no matter how often you move from your desktop to your tablet and then to your phone. Whenever and wherever you access your data it will be up to date, which means that you really can have your finger on the pulse when it comes to running your business. But more than that, Xero is set up so you can share access to other team members or your trusted advisors and they can see your up to date accounts in real time. Depending on the access level you allow, you may decide that you want others to be able to input data, make notes or simply take a look. With Xero bookkeeping, it’s you who calls the shots. When it comes to creating and paying invoices, reconciling bank statements, approving and managing expenses, plus a whole lot more, it really couldn’t be simpler. And when you start to use it you will see how easy it makes your life. Created with the ability to integrate with 150 add-on apps, the capability of this accounting tool is second to none. How does it work as an accounting system? Create invoices, send them to your customers and see when they’ve been opened. Track inventory, control stock and transfer items to invoices. Organise and manage your payroll, no matter how complex it is. Reconcile your bank and major credit card statements with ease. Work on the move using the Xero mobile app. Control every accounting aspect of your business and monitor your performance from the Xero dashboard. Pay your bills on their due date and monitor your costs. Record, claim and manage expenses and receipts. Enjoy the reports you want and need to monitor your performance. Get paid sooner by accepting online payments. Keep control of your purchase orders. Monitor foreign currency balances and transactions across multiple currencies. Keep your accounts in order using an easy to set up filing system. Enjoy a bird’s eye view of business performance from your Business Performance Dashboard. Benefit from having all your contacts and lists in one place. Make light work of Workplace pensions. Manage your fixed assets simply and efficiently. And all of this is available to you, no matter where you are and no matter what time of day it is. Why should I choose Xero bookkeeping software? It looks great and is a pleasure to use. Bearing in mind that most small and medium sized business owners would prefer to spend their time making sales and developing their business than doing accounts, a good looking accounting system definitely helps! It lets you be in control while on the move. With more and more business owners expecting 24/7 access to information, it makes sense that one of the most important parts of your business is with you as you move around. You can give others access. This means that other members of your team or your trusted advisors can have the access they need to support you in the way you need them to. Xero has 24/7 customer support that is second to none. It allows you to seamlessly do all your accounting tasks in the one place. You can quickly and easily process expenses, which means you no longer need to worry about forgetting to claim back the money you’ve spent or losing receipts. It works with up to 160 global currencies, which means that if you’re trading internationally, you can keep a tight control on the risks you face. It is compatible with over 1000 different apps, which means that no matter what you need or want to do, using your accounting system as a starting point, you should be able to find a solution from that impressive list. It has 99.9% uptime history, has never had a multi-day outage, which, in our experience means it is as reliable as it is good looking. It is affordable, scalable and powerful. Downloading Xero software couldn’t be easier. All you need to do is register, decide on your username and password and then follow the simple online instructions. The software is quick and easy and will then be available for any device. How good is Xero software? At The Smart Accountants, our lives are spent interfacing with different accounting software packages and Xero is our all-time favourite. We’re not naïve enough to think that that mightn’t change one day, but for the moment, it wins hands down over the competition. A system that allows you to do every accounting task you should ever need to do efficiently and effortlessly, Xero is also incredibly safe and secure. Enabling easy invoicing, reconciliation, payroll, expenses and even management of different currencies, it’s sure that the Xero bookkeeping software will tick all your boxes from a functionality point of view. Add to that it’s pleasant and easy to navigate interface and you start to see why more and more professional advisors, as well as small business owners, are choosing Xero. But more than that, it’s the peace of mind that comes with the Xero software that truly is the icing on the cake. Xero has been set up in such a way that you needn’t worry about your data security. With highly complex, robust layers of security, both physical and online, you know your data is safe when you work with Xero. You choose who you give access to and you can sleep soundly knowing that Xero is looking after the rest. How can I use Xero for my accounting? If you’re accustomed to using spreadsheets for your accounting right now, you’ll find Xero accounting a complete breath of fresh air. Not only does it allow you to do everything accounting-related, from A to Z seamlessly and easily when you choose to use Xero accountants, it comes with all the support you could ever need. We will help you move from your current manual or online system to the Xero online system painlessly and easily. And once you’ve got there, you’ll wonder why you waited so long. The main issues that small and medium sized business owners face when it comes to their accounting are controlling their cash flow, managing their time, getting paid on time and reconciling bank statements. Of course, there are other things like managing and processing expenses and payroll, but the four big issues for most business owners are cash flow, lack of time, getting the money rolling in and making sure their figures tally up. The great thing about Xero accounting is that it was created from scratch to address these problems head-on. When you choose Xero, you get a real-time view of your cash flow at any time in any location, no matter which device you’re working on. This means that while you’re busy and out and about promoting and growing your business, you’re still in touch with the most important element – your performance. What’s more, the slick invoicing system that Xero accounting uses will allow you to create invoices easily, see when they’ve been read and receive payments like clockwork once they’re made. Add to that, the simple bank reconciliation function and you’ll see that your accounting becomes a whole lot more pleasant when you add Xero into the equation. Should I use Xero or QuickBooks? Xero or QuickBooks is a debate that many business owners pour over. Along with Sage (which we’ll come to in a minute), QuickBooks is a name you’ll come across regularly. A very good online accounting solution, QuickBooks is strong in terms of price, integrations and security, but in our view where it falls short of Xero is its ease of use, the range of benefits and customer service. As we’ve said already, Xero is hailed by many as the world’s most beautiful online accounting system and we can’t help but agree. An intuitive setup that even the least technically-astute can get around in minutes, Xero truly is a pleasure to use. Constantly being updated, unlike QuickBooks, Xero accounting offers even basic users such things as the ability to accept quotes online, manage basic stock lists, inventory accounting, budgeting, purchase orders…and the list goes on. When it comes to customer service, although QuickBooks is working hard to catch up with the high bar set by Xero, they still have some way to go. Granted, their efforts are showing and they’re moving in the right direction, but they’re not quite there yet. Because support is so important to our clients, we feel that this is a major factor in your decision-making process and just another reason why we favour Xero every time. What about Xero versus Sage? Price. Although you can buy the Sage basic software package cheaply, it is much more restrictive than the subscription based solution offered by Xero. At a very basic price level, Sage offers you a software package that you can load on to your desktop and provide access to one user only. At a very basic price level (albeit an ongoing cost) Xero offers you access across all your devices and a multiple user interface. We find that this is one of the major plus points for choosing Xero over Sage for our clients. Ease of use. Few people argue that when it comes to ease of use, Xero wins hands-down every time. A clean, stylish system that’s easy to navigate, when you switch from one to the other, Sage feels decidedly clunky. What’s more, in terms of day to day use, because Sage isn’t cloud based it requires backups in order to share information, which again doesn’t have the same seamless feel as Xero bookkeeping. Features. 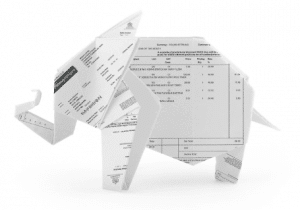 While both tools do the accounting job, there is no getting away from the fact that bank reconciliation is a real bug-bear for most business owners. And once again, this is where Xero accounting wins. All you need to do is plug Xero into your bank account and you can download your bank transactions straight into the system. So, for anyone who has complex bank reconciliation, Xero is a huge time-saver. How can I export my data to Xero? Xero is acutely aware that one of the big stumbling blocks with a great accounting solution is getting your existing data into the system in the first instance. But once again, Xero accounting has it covered. You can import your bank statements, budget, chart of accounts, contacts, fixed assets, inventory items, invoices, bills and credit notes, manual journal and Paypal statements using CSV files. Invoices, credit notes, statements and purchase order templates can be imported using DOCX files. So as you see, when it comes to migrating your information from your existing system into Xero, they have it covered and make it incredibly easy for you. What’s more, as Xero accountants, we’re also acutely aware that business owners like you are nervous when it comes to moving from one system to another. This is entirely normal and only to be expected. That’s why we have all the support in place that you’ll need to make sure that your switch-over goes without a hitch. We’ll put in place security measures so your data is constantly safe and we’ll guide you every step of the way until you’re safely up and running with Xero bookkeeping. Can I use Xero on my iPhone or Android? One of the biggest attractions of Xero for busy small and medium sized business owners is the fact that they can control their business while on the move. Xero has an app that you can download to either your iPhone or Android phone that is as secure, good looking and easy to use as their desktop and tablet versions. It really couldn’t be easier. Called Xero Touch, the app is available on Google Play and App Store and means you can keep control of your business while you’re out and about in exactly the same way as you can when you’re sitting at your desk. You can even use your phone to send invoices, capture expenses images and keep a close eye on your business performance when you’re on the go. Is Xero accounting suitable for an iPad? Like most things Xero, the team at Xero were ahead of the pack when it came to making sure their promise for their software to work across all your devices was true to their word. Back in 2015, Xero invested significantly in the development of an app that works and looks great in both portrait and landscape view on iPads. This is when they launched a new version of Xero for IOS that came to the market complete with custom layouts for iPads. Aware that plenty of business owners want to access and manage their accounting online while on the move, but not necessarily on a phone-sized screen, Xero knew this part of their puzzle was really important. And as Xero accountants, we’re happy to say that they got it spot on, right from the word go and have continued to update the app ever since. In our minds, the investment that Xero made in adapting their app for iPad is further testament to how far this company are prepared to go to make accounting for small business owners as flexible and pleasant as it possibly can be. How suitable is Xero accounting for a small business? At the risk of going over the top, Xero is perfect for small business. It was made exclusively with small, and growing businesses in mind. The man behind the idea and the brand, Rod Drury, had a vision back in 2006 that small business accounting could be a whole lot easier, and he has certainly made his dream come true. Letting you manage your accounts, reconcile bank statements, send invoices, receive payments, manage expenses and a whole lot more while on the move is revolutionary for most small business owners. This, alongside the ability to share your accounting information with key partners, means that neither you nor your advisors are ever out of touch with how well your business is performing. If you’re a small business owner who’s currently relying on spreadsheets or a clunky accounting system at the end of every month or every year, we truly believe you’ll find Xero accounting a complete breath of fresh air. By your side, even while you’re on the move, you can do your accounting from any device at any time of day that suits you. Xero is designed to make accounting child’s play and is the power behind a huge number of incredibly successful small businesses. What about using Xero for a retail business? Once again, Xero is ideal for retail businesses. No matter whether your retail business is online or off, you’ll find that Xero bookkeeping makes your life a whole lot easier. Not only does it allow you to do all your standard accounting tasks, but its cash flow and inventory tools, in particular, are what you’re likely to find revolutionary. The way that everything about Xero works seamlessly will allow you to do your accounting fast and efficiently without taking your eye off the sales ball in your store. It even integrates with your point-of-sale software, so re-keying becomes a thing of the past. Not only does it allow you to keep your finger firmly on the pulse of your retail store’s performance, it will help you make sound, informed decisions about where you take your business next. Perfectly suited to small and larger retail businesses, the great thing about Xero is that it will scale up and scale down as you need it to. In a nutshell, Xero bookkeeping will give you the confidence to take your business wherever you want it to go. Will Xero work on a Mac? Xero works on Macs, and the great news is that whatever tasks you choose to do on your Mac will be at your fingertips on your phone or your tablet 24/7 too. A great looking accounting software solution that’s powerful to the core, it has been made to work perfectly on your Mac in the same way that it does on your iPhone and iPad. Xero was “born” in New Zealand, a country that owes a huge part of its livelihood to agriculture, so it makes sense that the Xero creators are big fans of farmers. So the answer to this question is a resounding “Yes – Xero is ideal for farmers”. If you’re a farmer and you want an accounting system that will allow you to keep your accounts ship shape and connect with your Xero accountants, bookkeepers and other advisors, Xero bookkeeping software is the answer. Working in real time, you’re able to update your accounts and every advisor that you’re connected to will be completely up to speed with your progress immediately. A great way of keeping your accounting simple, yet powerful, even if you’re taking a short break in your tractor in the middle of a field, you can be sending out invoices and be receiving payments. A system that links seamlessly with other software and applications geared to farmers like yourself, you won’t believe just how powerful Xero accounting is until you’ve tried it. The secret to your success is managing your finances right and tight, and Xero lets you do that in a way that you probably haven’t experienced before. It’s a bit like the ideal accounting solution that you dream of when you’re up to your ears in receipts and pieces of paper. Except it’s not a dream. It’s reality. Is Xero bookkeeping a good solution for construction or manufacturing businesses? The construction and manufacturing sectors both have their own peculiarities and it’s not every accounting package that’ll take them into account to the extent you need to. Taking the construction industry first, it’s only fair to say that no two jobs are ever exactly the same in construction, which means that each time you go to price a job, you’re facing a new situation. Yet getting the price right is one of the cornerstones of your success. Add to this the contractual nature of the construction industry and it makes for an accounting nightmare. Not with Xero. Xero is so flexible that you can integrate it with your other apps software to make your life easier and more straightforward. When it comes to manufacturing, it’s much the same as the construction industry. Xero accounting is geared to provide all its standard bells and whistles PLUS it will link up with your other apps and software that you use to keep your manufacturing business up to date and efficient. Will my accountant be able to access Xero? Your accountant will not be able to access your Xero account unless you want them to and give them permission to. That said, sharing information with your trusted advisors and business partners is one of the key benefits of choosing Xero. If you decide that you want to share your information with your Xero accountants, all you need to do is invite your accountant to access your Xero data file on the Xero dashboard. It really couldn’t be easier, and by doing this, it means that you and your accountant can share information that is updated in real time and keep a really tight control on your business.